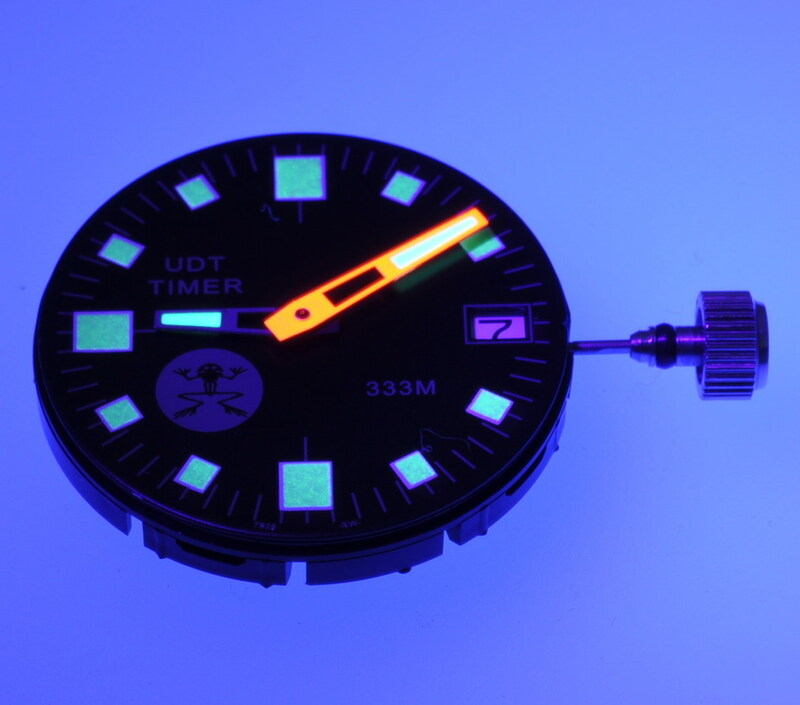 Is this a black light effect on lume? how can I get some/paint some purple hands lume or non-lume. I am also looking for techniques in handpainting dials. Any info on these subjects will be greatly appreciated.